Stargazer Pink Semi-permanent Lip Stain Pen #1. Stargazer Pink Semi-permanent Lip Stain Pen #5. Stargazer PINK Semi-permanent Lip Stain Pen # 07. Natural flavor and 5 perfect shades produce the prettiest, most kissable mouth ever. 100% vegan and gluten free. Color Quench Lip Tint. 100% vegan. May contain [colorants]: mica, titanium dioxide, iron oxides. Revlonis a synonym for smart, simple & exciting beauty products. if unopened & unused. The colour lasts for up to 24 hours. The felt tip nib can be reversed so it lasts twice as long. Semi permanent lip stain pen 1. Up to 12 hour creamy matte lip colour with reversible nib. Strong bold colour. Natural flavor and 5 perfect shades produce the prettiest, most kissable mouth ever. 100% vegan and gluten free. Color Quench Lip Tint. 100% vegan. Spot-on sheer color; subtle, natural flavor. Free of carmine, beeswax, lanolin, phthalates, parabens, mineral oils, GMOs, triclosan, propylene glycol andpetroleum. 201 SOLSTICE. LIP LACQUER. Enhanced by a satin smooth shine. 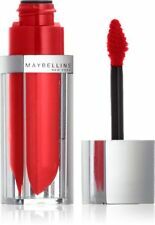 This cheek and lip stain has long-lasting effect. 2 tints in 1…it’s a purse-friendly pickup! These sheer yet buildable lip tints are longwearing, smudge-proof and give a natural-looking pop of color. - Gogotint bright cherry tinted lip & cheek stain. VIctoria......LDM Lip Stain,,,,,,Chemical Free Produces In Toronto Canada. Condition is New. Dispatched with Royal Mail 2nd Class. Doris.......LDM.....Lip Stain......Chemical Free Produces In Toronto,Canada. Beautiful long lasting lip liner from the wet n wild range. Cruelty free / vegan friendly. Please view my other items I will give discounts for multiple purchases. Shade: PINK REBELLION 189. Shade PINK REBELLION 189. Color caress by color riche shine stain combines the power of a lip stain with lip-gloss luster. Discover a stain that thinks it's a gloss. Size Type Full size. Contains Sunflower Oil, Titanium Oxide, Beeswax, Arrowroot starch, Mica and Spirit Dose of Madrone. Hella Highlight. FAT AND THE MOON - BEAM. Contains Sunflower Oil, Iron and Titanium Oxides, Beeswax and Vitamin E. COLOUR - DUSK. FAT AND THE MOON. Jane Iredale. Just Kissed Lip & Cheek Stain - Forever Pink 3g. Olive butter avocado butter & wild rose wax soften skin. Formulated with all natural ingredients to enhance natural coloring. Pink shade uplifts skin undertone. Jane Iredale Just Kissed Lip and Cheek Stain Forever Pink 0.10oz. A lip and cheek stain that provides long-lasting, custom color. Non-drying, long-lasting stain adjusts to your own chemistry for an irresistible pink shade that will flatter your skin's undertone. Cannes Crush. u will receive 9 lip stains. below are the shades u will get. Otherwise it will hurt both of us. Made in USA. Colour LOVESICK and CHARM. 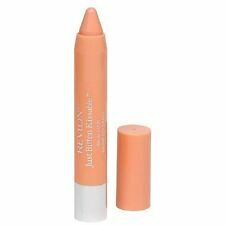 Revlon Colorburst Balm Stain. a velvety matte and a high shine lacquer. Available in a beautiful array of vibrant colours. 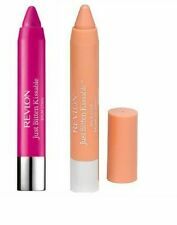 The easy to apply retractable lip crayon gives you an instant burst of colour with a balm-like feel. Long Wearing Colour. Otherwise it will hurt both of us. The Lip & Cheek stain embodies this very idea. Alkanet and beet root give this stain its rich color and its mild and earthy scent, with just a touch of essential oil of rose geranium. Rose geranium is used in aromatherapy to reduce nervousness and tension, and has mild antibacterial, astringent and anti-inflammatory properties which all aid in the overall health of the skin.